In what's been one of the biggest surprises of the year, Yakuza Studio have managed to succeed where so many Japanese developers have failed, creating a solid "Western"-style shooter in Binary Domain. So if you missed out when it first launched or have been waiting for the PC release to blast robots to pieces, you needn't wait much longer. The game will be available for PC next Friday, but if you're interested in purchasing sooner Sega have some pre-order bonuses in store. Said upgrades include additional weapons, maps, and playable classes for the bare-bones multiplayer modes. 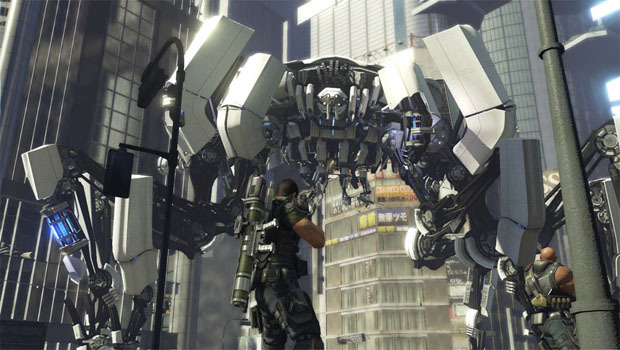 If that sounds good, keep your eyes open for Binary Domain when it hits stores April 27th.